Whether your hair is long and thick or short and fine, we've got you covered. 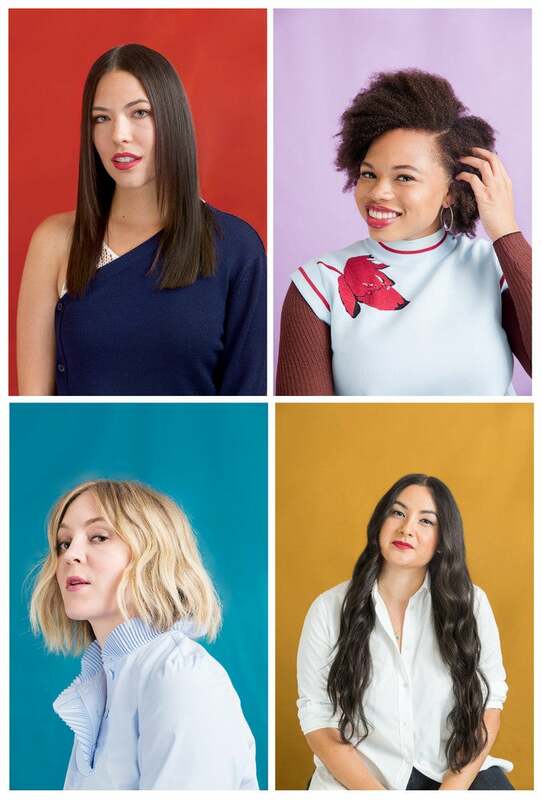 Well, great news then, we gathered up four Domino editors with different hair types, and consulted the experts at Spoke & Weal salon in New York’s Soho neighborhood to investigate all things hair—from texture and type to easy fall styles (that will work year round). We spent an entire day with Jon Reyman, the master hairstylist and founder of Spoke & Weal, while he talked us through the basics, answered all of our questions, and led the looks for each editor. First thing first, what hair type are you? According to Reyman, there are three option: soft/fine, medium, or coarse. Here’s how to tell. Are you softy at heart? Here are your guides to curling and straightening your hair. So you’ve got medium hair, that’s great news! Here is your go-to guide. —you’re going to love it. Hair by Jon Reyman using Aveda. Makeup by Chantecaille’s National Artistry Ambassador Eddie Hernandez using Chantecaille. Special thanks to Spoke & Weal for being awesome.